David Ortiz’ farewell tour could not have gone much better. 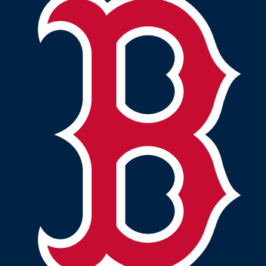 After finishing in last place in the AL East for the previous two seasons, the Red Sox were able to clinch the division thanks in large part to the brilliant performances of Big Papi as well as the new leader of the offense, Mookie Betts. The future is now in the Dave Dombrowski-era in Boston and fans are anxiously awaiting to see their newest star Chris Sale join the likes of Betts, Bogaerts, Bradley, Benintendi (how’s that for some Killer B’s, Steelers’ fans! ), as well as reigning AL Cy Young-winner Rick Porcello, 2012 Cy Young-winner and 5x all-star David Price, last season’s marquee deadline acquisition Drew Pomeranz… not to mention one of baseball’s best 1-2 punches in the ‘pen in Craig Kimbrel and Tyler Thornburg (don’t sleep on Matt Barnes, either!). Even though their star has faded some, veterans Dustin Pedroia and Hanley Ramirez are still very productive, and they will get back the former World Series MVP in Pablo Sandoval this spring, who just so happens to find himself in the #BSOHL. Unfortunately for prospect-lovers like you and I, those names came with a hefty price-tag. Since midseason last year, the Sox have parted with Anderson Espinoza, Yoan Moncada, Michael Kopech, Mauricio Dubon, Luis Alexander Basabe, Josh Pennington, and Victor Diaz, not to mention young corner infielder Travis Shaw, a 26 year-old who exceeded expectations in 2015 and more than held his own last season after beating out Pablo Sandoval for the starting third base job last spring. Many of the prospects dealt would have landed in the upper tiers of this list, but the good news for Red Sox fans is that they have been acquiring tremendous depth through drafting well in the amateur draft as well as being aggressive in international scouting and spending (sometimes, a little too aggressive). While many of the remaining Red Sox prospects may not have the same floors as some of the departed names above, there are a few who have incredibly high ceilings, so if the Sox can keep developing talent at the lower levels the way they’ve done the past decade or so, there should be many bright years ahead for you Sox fans. Before getting in to the list, I wanted to briefly highlight several young, exciting Red Sox players who have exhausted prospect status and may not necessarily be guaranteed a starting or even a bench role to begin the season. Eduardo Rodriguez, Blake Swihart, Marco Hernandez, and to a lesser degree, Henry Owens, all may be on the outside-looking-in come Opening Day, but they are still incredibly valuable and will definitely be contributing to the Major League club next season, either directly (by playing) or indirectly (trade bait). I would be surprised if they moved E-Rod or Swihart, but as a Red Sox fan, I would not be purchasing any Hernandez or Owens paraphernalia anytime soon, as they look like prime fodder for Dombrowski to meddle with. One last name to keep in mind before we start is reliever Carson Smith who had Tommy John surgery back in May and was acquired along with Roenis Elias in the Wade Miley trade last offseason. If he can come back ‘all the way,’ the Sox could have one of the scariest pens around with Kimbrel, Thornburg, Kelly, Barnes, Smith with Ross and Abad as effective lefties and Owens and possibly Rodriguez as long relievers/swing-men. With the recent shift in how teams around the league value relievers, it is going to be important to maintain a formidable pen if the Sox want to remain atop the division, which is exactly the expectation that DD has put in the minds of Red Sox fans with his moves since taking over as President of Baseball Operations back in August 2015. The 7th overall pick in the 2015 draft, Benintendi showed last year that he is Boston’s left fielder of both the present and the future. This is special hitter, with plus-plus hitting ability and plus power projection to go along with above-average speed, plus defense, and an average arm. There is a very easy argument to be made that he is the number one overall prospect in baseball; he is the safest bet out of any prospect-eligible player to provide immediate value not only to his major league club, but also to his fantasy owners. After struggling initially to begin the season, Devers had a monster second half (.326/.367/.539) and made significant improvements with his range at third to the point where evaluators are now giving him the potential to be above-average to even plus there. His weight will always be something to maintain, but so far, he has shown a willingness to keep it off and has even shown surprising athleticism, stealing 18 bases last year. His aggressiveness as a hitter may mean he never has a high OBP, but with his bat-to-ball skills, improving defense, and surprising athleticism, it may not matter. Devers has all the makings of a fantasy superstar. Many talent evaluators had Groome as the best arm in the 2016 draft, and some even thought he was the top overall talent, as he was hitting 97 from the left side before he was old enough to even hit the lotto. Questions about his character and maturity as well as signability issues caused him to fall all the way to the Sox to the twelfth overall pick last June. If he can avoid the injury bug and but the questions about his makeup to rest, we could be looking at one of the top pitching prospects in all of baseball, and if by some miracle he outlasts Dombrowski, we could be looking at one of the scariest rotations in all of baseball in a few years, assuming Sale is retained of course. The sky’s the limit. Travis is a hitting machine who is a mechanical tweak or two away from developing at least average game power. He unfortunately did not have the playing time to do that last season, tearing his ACL after only 47 games in Triple-A. He looks like he could make a killer platoon-mate with free agent acquisition Mitch Moreland, but as a strict first base-only guy, he really needs to tap into that power. Keeping his ligaments in one piece would help as well, and if he can stay healthy, it’s not unthinkable to predict him providing the offense they thought they were getting when they acquired Allen Craig. Already one of the steals of the 2016 draft, the staff in Lowell was able to smooth out Dalbec’s inconsistent hitting mechanics and pull-happy swing he showed throughout college to become more relaxed at the plate, resulting in an up-the-middle approach and prodigious raw power. Already a year older than the man three spots above, Dalbec will have to prove the changes he made upon being drafted were no fluke. Since crazy comps are what all the cool kids are in to nowadays, how’s “Baby (Kris) Bryant” for a nickname. Many people cite the presence of Groome for the Red Sox feeling comfortable enough to trade Anderson Espinoza for Drew Pomeranz (and eventually, of course, Michael Kopech), but perhaps the emergence of Raudes as a potential #3 starter was the true reason Dombrowski was able to stomach losing them (getting Chris Sale probably helped, too). He is Exhibit A as to how effective the Red Sox are in international scouting; he was throwing 80 when they first saw him as a 14 year-old. Now, he’s commanding multiple pitches, including an 88-91 mph fastball that scouts think can tick up due to his slender 6-1/160 frame. He doesn’t have the upside of his former rotation-mate (few do), but he put up the better numbers and is only two months older that Espy. If he can pack on some extra muscle and bump his fastball into the low 90’s, he could put up Ervin Santana numbers. Despite his age and performance last year, Johnson gets a lot of brownie points in my book for taking time off last year to deal with anxiety issues, as mental health awareness is something that needs to be on everyone’s mind. His stuff regressed to the point where he really only has one effective pitch at the moment, his curveball, but I believe with a normal offseason, Johnson can regain the velocity and command he had in 2015 where he showed the upside of a #3 and the downside of a 4 or 5 at the worst. He’s a safe guy to contribute, and lefties always find a way to stick around somehow. Johnson is a fighter and I am expecting him to have a long career. Another 2016 draftee, the Red Sox have to happy with what they’ve seen out of their second round pick thus far. At 6-4 with just average speed, he gets J.J. Hardy comparisons due to his quick first step, good hands, and solid footwork to go along with his solid power projection for a shortstop. It remains to be seen if he can stay at the demanding position, hence why he is not higher on the list, but similar to the argument made with Raudes and Espinoza, the trade of Mauricio Dubon speaks volumes to how the organization views Chatham moving forward. The 2013 Perfect-Game home run derby winner, Chavis has always shown the power potential that makes fantasy owners salivate, but 81 strikeouts in 304 at-bats is just not going to cut it. He has the arm to stay at the position but is in danger of falling behind both Devers and Dalbec now, so he really needs to manage his aggressive approach and stop expanding the zone. He has one of the highest ceilings in the organization, but also one of the lowest floors. I hope he can take some notes from Devers’ and Dalbec’ playbooks and make some adjustments so that he can capitalize on his 60-grade raw power. If not, he could end up Mike Olt 2.0. Stop me if you’ve heard this one before: a 2016 Red Sox draftee had a great debut and is proving to be a steal given where they were taken. This fifth-rounder had an up-and-down college career but showed great stuff in his brief debut last year. It remains to be seen whether he’s a future workhorse starter or shut-down bullpen piece, but you have to be impressed with what you saw out of Big Mike in Lowell in his debut. Compared to the first basemen ranked ahead of him, Longhi doesn’t have the bat Travis does nor the power that Ockimey possesses. His ability to play the outfield along with his steady improvement has his arrow pointing ‘up,’ but he needs to develop more over-the-fence power to become an everyday guy. Although he was taken two rounds before Shawaryn, Anderson simply does not have the same potential to remain as a starter as they advance up the minor league ladder. His stuff is still filthy, but it may play up better in the pen as he only made one start in his three-year college career. If he does indeed continue to start, he has more upside than Shawaryn but also a lower floor. The Most Valuable Player of the New York-Penn League, Hill is a divisive prospect amongst talent evaluators due to his lack of prototypical power for a guy with a LF-only profile. However, he has natural bat-to-ball skills, leading the league with a .332 average. While some attribute that to BABIP flukiness, others see a potential plus hitter with gap power. His real test will be in full-season ball next year, so be patient and wait-and-see how he starts off. If he is showing his typical strong batting skills with any sign of increased power output, invest heavily if you are a fantasy owner. Shepherd is the leader of several people that could potentially contribute to the Major League bullpen as soon as Opening Day this year. His numbers are stellar (2.81 ERA, 0.94 WHIP, 8.7 K/9, 3.44 K/BB) but he projects as a 6/7th-inning guy at best. After raising his arm slot to a high three-quarters delivery, he was able to hit 96, and his change-up is his go-to pitch. He is a safe bet to be in the middle of the bullpen beginning as soon as this season. A year after being acquired for Alejandro De Aza, Ysla was added to the 40-man as a potential bullpen contributor for next season, can show flashes of dominance with a fastball up to 98 from the left side and a potential above-average slider, but the command has been too inconsistent thus far for him to become anything more than a middle-reliever. However, like Johnson above, lefties always seem to find a way to stick around. A fast mover since being drafted in the seventh round in 2015, Taylor put up some gaudy numbers between High-A and Double-A. His fastball maxes out at 95, but his ability to command it should make him an effective reliever for a long time, possibly as soon as this season. You can never have too many effective relievers. After failing as a starter (much like his brother), Cosart has thrived in the bullpen this season, touching 99 with his fastball. However, his secondaries still lag behind to the point where he does not project as a back-inning guy even with his easy velocity. Since he is relatively new to pitching and extremely new to relief pitching, there’s still hope that he can make the necessary improvements he needs to become an 8th-inning guy. Ah, finally, someone to potentially be excited about if you’re a fantasy owner. Incredibly raw in nearly all facets of the game, Boston tested Aybar by sending him the New York-Penn League at the ripe age of 18. His glove and his arm in center are his two best tools right now, but he’s shown promising bat speed and feel for the barrel, especially for someone his age against that level of competition. He’s exciting, but a long way away, and the large chance that he ends up flaming out keeps him below some of the other names on this list. Bautista is a very similar prospect to Cosart, the only real differences are the one year in age/level, and the fact that Bautista throws a slider to compliment his 99 mph fastball while Cosart uses a splitter. He has higher upside than most of the other relievers above him, but his floor is also much lower. Another exciting bullpen piece who is a long way away, Pimentel doesn’t quite have Bautista’s upside due to bigger issues with his command. If he can iron those out, he could end up in the back of the bullpen in a few years. Beeks has the upside of a back-of-rotation starter, but due to issues with him holding his velocity, as well as missing bats, he is more than likely a middle-reliever or swing-man. Lakins has had an up-and-down career going back to his college days before being drafted in the sixth round in 2015. His stuff regressed last season to the point where he does not look like he will remain a starter, and since he is not left-handed, he finds himself behind Beeks. The former seventh overall pick keeps taking two steps back for every one step forward. Like Beeks, his best-case-scenario is a BOR starter, but more than likely just a middle-reliever, or nothing at all. Marrero almost went first overall before falling due to a senior slump. He is blocked at short even though he is a phenomenal defender there, it’s a shame the same can’t be said about his hitting ability. There’s some other guy in Boston blocking him at second. Washington has great raw power, but unfortunately, he strikes out far too often to become anything more than a bench bat in the majors. He is young enough to make improvements, but he needs to do so quickly. Like Ysla above, Jerez is a lefty reliever with above-average velocity. However, he went backwards with his command last year. He is a converted outfielder, so perhaps some patience should be exerted. Brakeman is a reliever who relies on his changeup. He started several games last year, but his stuff ticked up in the bullpen, and the team thinks he’ll move faster in that role. I like changeup-heavy relievers in real life, but in fantasy, their lack of strikeout upside makes them unappealing. Scott is a nice story, an undrafted free agent who was being managed by Jose Canseco in indy ball. He throws from a ¾ arm slot and has large reverse platoon splits because of his effective changeup. He is very low ceiling but very high floor, as he’s already reached the Major Leagues. Max-effort reliever who tops out at 95. If I knew he’d be healthy his whole career, he’d ranked higher with the other, higher upside relievers, but his delivery scares me to the point to where he falls out of the top 30. A fourth-rounder from 2015, Matheny projects as a hit-over-power bench bat. Since he is Mike Matheny’s son, he makes for an interesting follow, but the upside here is limited. Darwinzon has potential to become fantasy relevant, as he flashes a plus fastball and an average curveball already, and you know how I feel about lefties by now. If he fails to make significant improvements with his command, like so many other starting pitchers, he may wind up in the bullpen. Another UDFA reliever find by the Red Sox, Glorius is similar to Hernandez, but older and not left-handed. He is new to pitching so he is someone to monitor closely and could move up the list if he can show he is a starter. Stankiewicz is weird not only because he has a weird last name, but he also was born without a right pectoral muscle. Whether that affects him or not, he doesn’t look to be much more than an up-and-down starter at this point, which is not the return the Red Sox were looking for when they invested $1.1 million and a 2nd round pick on him three years ago. Monge has a skinny, athletic frame that you can really dream on. His lack of strength and pitch recognition skills will sink his prospect status if he cannot find a remedy for them, but he has time to develop. Cedrola is one of my favorite Sox prospects and a candidate to shoot up this list if he can showcase his plus-plus speed, plus defense, and above-average arm in center field to go along with his plus hitting ability and potential average power at the plate. Full-season ball will be a big test, but I am confident he will succeed. A first base prospect who hasn’t made it stateside is really going to require a lot of projection, but his raw power can’t be denied. He will take a lot of time to develop, but the upside gets him the top spot in Tier 5. Mars provides a team with a lot of flexibility. He can hit from both sides of the plate as well as play all three outfield positions. Unfortunately, his upside is limited and I don’t see him becoming more than a bench bat. Espinoza, Jr! So that’s why the Red Sox were okay with trading Anderson, they had a mini one stashed in the Gulf Coast League! Unfortuantely, that’s not the case, as Espinoza’s upside is that of a back-end starter, and he is a looooong way from even reaching that. Coming off a scary knee injury in 2015, Diaz had a solid season last year. Unfortunately due to his size and mechanics, he is best suited in the pen, but again, his handedness buys him time that similar, right-handed pitchers would not get. Acquired for Clay Buchholz, Tobias is a high makeup utility guy who can hit from both sides of the plate. He does not project as a starter and had a rough season compared to the last two, but there is hope that he can catch on in the big leagues in some way due to the reports on his character when he arrived from Philly. Although he sounds like he should be in the mafia, Rusconi has found his niche at second after primarily playing shortstop in high school. Like a former Red Sox middle-infield prospect with a cool name in Jed Lowrie, Rusconi has trouble staying on the field, and also like Lowrie, hits much better from one side of the plate as he does the other. Still, with his age and how frequently injuries have gotten in the way, it’s too soon to write off Rusconi. If you do, you might just wake up with a horse head in your bed. Procyshen received an invitation to Spring Training, but he doesn’t project to be anything more than a backup at this point. It’s always nice to have catching depth though, and he does project to be a potential plus defender. Garcia was more interesting last year after succeeding in the DSL, but his mid-90’s fastball and young age make him an intriguing dark horse sleeper candidate. I like him more than I do Procyshen, but he is suspended for the first 50 games of 2017 due to testing positive for amphetamines. Just like Johnson gets a bump up for dealing with his anxiety, Romanski gets a bump down for getting the positive test. Rei was a third round pick in 2015 but has had two very poor initial seasons. It’s too soon to give up hope, but at 23, it’s put-up or shut-up time for Rei. Brentz hasn’t exhausted his prospect eligibility just yet, but at this point, he is your definition of a AAAA hitter. I suppose there is a really cruel possible future reality where injuries decimate the Sox outfield and Brentz is called upon to become the next Killer B, and if that does indeed happen, I think it may be a blessing in disguise, as Brentz would finally get over the at-bat threshold and we would no longer have to write about him on prospect lists ever again! Ending with the longest of long-shots, Acosta was acquiring in the same international class as Espinoza and had similar buzz upon signing. However, Acosta quickly fell behind Espinoza before hurting his ankle and missing four months. He left the team’s Spring Training facility to go back to the Dominican Republic last year and has been placed on the restricted list by the team ever since. Hopefully he can get back to showing that three-pitch mix he was flashing before getting injured. If so, he can shoot up this list as one of the few remaining Red Sox starting pitching prospects. Enjoyed the write up. Good read. Big fan of Raudes and Cedrola as well. Glad you enjoyed the piece. Hearing a lot of great things about Raudes! I personally don’t know a lot about Cedrola but since Ryne and now you mention him I’m definitely going to keep a keen eye on his progress. Don’t sleep on Nogosek and Rusconi! Thanks, ProspectWhisperer! Excited to see what unfolds next season. Appreciate the support, thanks for reading! I liked it a lot. Glad you highlighted the Sox pen, as Smith’s return could be amazing along side of Kimbrell, Thornburg, Kelly, and Barnes. Abad is lights out verses lefties…. I also liked that you mentioned Owens and Johnson, as both could still become good pitchers in MLB. What you wrote about Rauche along with Gomes makes me feel better about losing the best pitchers in our system. Devers will be good. And I love Blake’s makeup, hope they find a spot for him. Thanks for the kind words, Robert. I appreciate you taking the time to read and comment, thanks again, and go Sox!